Cintia F. Hongay, PhD, KYT 200+, Yoga Tune Up® level I certified teacher, has been practicing yoga for more than 20 years. Her first training was in the Iyengar method. She practiced and enjoyed yoga pre-during-and post-pregnancy and knows first-hand how to modify asanas for the developing belly. She is also aware of asana expression with different body types and proportions and will help students to achieve their full expression with awareness and mindfulness. 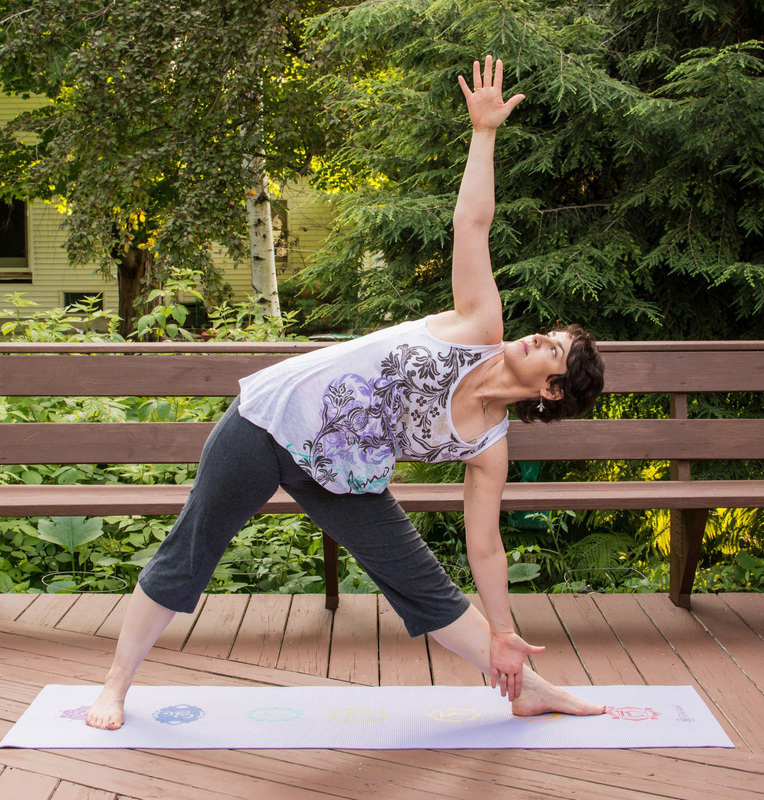 She has attended several workshops at the Kripalu Center for Yoga and Health including yoga for back pain, the Franklin method for yoga with Christa Rypins, proper pelvic alignment, and meditation. Cintia received her 200+ yoga teacher certification at the Kripalu Center for Yoga and Health in MA. After attending Jill Miller’s Yoga Tune Up ® level I teacher training at Kripalu in April-May, she became Yoga Tune Up® level I certified teacher. She is a member of the International Association of Yoga Therapists and the Kripalu Yoga Teachers Association. Cintia is Assistant Professor of Biology at Clarkson University and received her PhD in Genetics from Harvard University. Before joining the Biology Department at Clarkson University, she was a postdoctoral Fellow at the Whitehead Institute/MIT. Born in La Plata Argentina and having lived in Italy before acquiring her American citizenship, she brings a multicultural approach to her teachings and a deep understanding of the science behind yoga, including but not limited to anatomy and physiology.